In this guide, we’ll go over the top 7 coworking spaces in Manila, including each organization’s pricing model, coworking locations, and more. 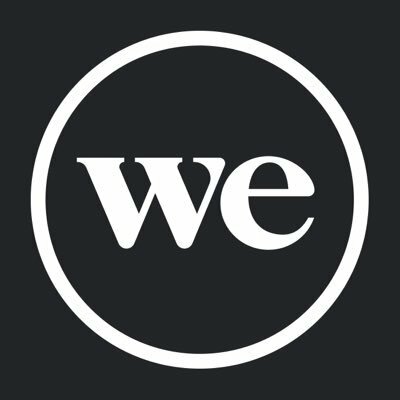 WeWork is perhaps the fastest-growing coworking network in existence today. Their competitive prices, beautiful and plentiful office spaces, and generous amenities make them our top choice for coworking around the world. They will soon add Manila to the long list of cities it serves. Penbrothers is more than just a coworking space. With three locations in Manila and a range of membership options and spaces, Penbrothers goes above and beyond simply building quality workspaces. They focus on four core services to help startups thrive: outsourcing talent solutions, human resources management, office space, and event spaces. Members enjoy amenities including high-speed internet, unlimited coffee, a stocked pantry, meeting rooms, printers, a receptionist, and membership perks at nearby establishments. Located within the Makati Business District and spread over three floors, ASPACE offers a wonderful range of workspaces and membership options to suit individuals and businesses of various sizes. They feature private workspaces, meeting rooms, event venues, a cafe, an art gallery, and a large coworking area. Members enjoy Reliable FIBER internet, IT support, 24/7 secure access (for Club and HQ members), and free coffee and refreshments. A Clean and Well-Lighted Place for Work - Starts at ₱100/hr. Located in the heart of the Ortigas business center, A Clean and Well-Lighted Place for Work is a welcoming place for startups, entrepreneurs, and freelancers looking for a quiet spot to get things done. They have spaces for both individuals and teams, a wealth of perks and amenities, and affordable prices starting at just ₱100 per hour. A Clean Place offers events and workshops, discounted .PH domains and other business services, unlimited coffee, fast WiFi, on-site tech support, guest and reception services, and a friendly accommodating staff. The Office Project is a small coworking space in the residential side of the Makati business district. They specifically cater to very early stage startups, design companies, and freelancers. The Office Project also offers services like business permit registrations and renewals to help keep your business going. Members enjoy local coffee from Narrative Coffee Company, access to creative workshops, professional seminars, corporate planning, training and meetups, and a variety of business services. Located near Ateneo de Manila University, 47 East’s mission is to provide a nourishing space and community for students and young professionals looking to succeed as entrepreneurs. They offer space and services to both startups and established businesses. With an expansive range of member and non-member options, they are a flexible and affordable coworking option for all. 47 East offers fast WiFi, comfortable indoor and outdoor seating, unlimited coffee, tea, and water, and a perks program that grants members discounts at a variety of local businesses. Acceler8 offers two quiet, cozy coworking spaces in Manila. With a range of affordable daily and monthly rates, it’s a great option for freelancers, entrepreneurs, and startups alike. The space provides all the essentials plus a variety of workshops, community events, and training. Amenities include high-speed Internet, unlimited refreshments, printing and scanning services, and free local calls. Whether you work in graphic design, software development, or any other field that calls for a remote workspace, we trust that WeWork will have an office in Manila that suits your needs.